So you were messing around with your WordPress blog and changed the WordPress Address (URL) and now you can’t login and the blog is all messed up. That setting in the WordPress general settings menu shouldn’t be changed if you don’t know what it means. It is to specify the location of the WordPress files on your domain. You can’t specify a different domain name either! You can use it to move the files to a different directory but there are additional steps needed to do it the right way. This WordPress guide will show you how to fix the problem. You will need to get into the hosting account and change the WordPress address back to the original location in the database. 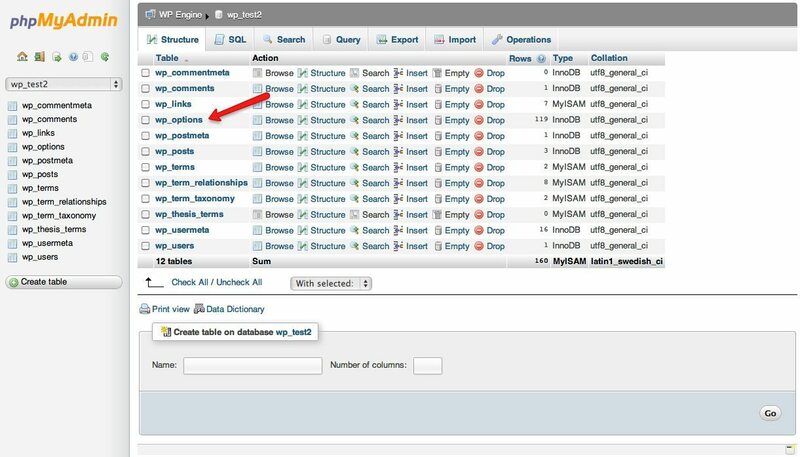 Get into the hosting account and look for the phpMyAdmin or the MySQL Database menu. Once in phpMyAdmin, you may need to click the drop-down on the far left to choose the correct database if you have more than one. 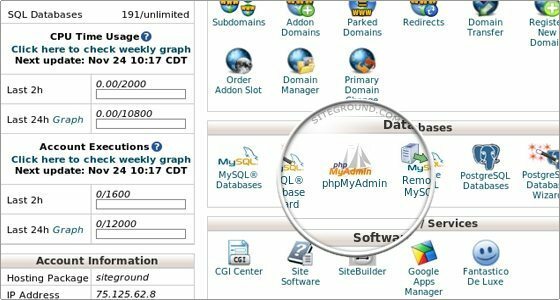 Please don’t ask how to get into phpMyAdmin on your hosting account, I couldn’t possibly cover all the different hosting account options available. Some are very easy and some make it next to impossible to get into or figure out. When the list of tables shows on the left click the wp-options table to open it on the right. Next, click the Browse tab on the top. After you click the browse tab a list of the options will open, the one to edit is called site URL. Click the pencil icon next to it to open the editor. Now you should see the URL that you managed to blunder into the WordPress dashboard general settings menu. Simply change it back to the correct location of where the WordPress files are. Scroll down and make sure the Save radio button is ticked and then click the Go button.